Langley wins Provincial Championship…and other stuff you should know. | Be The Best. 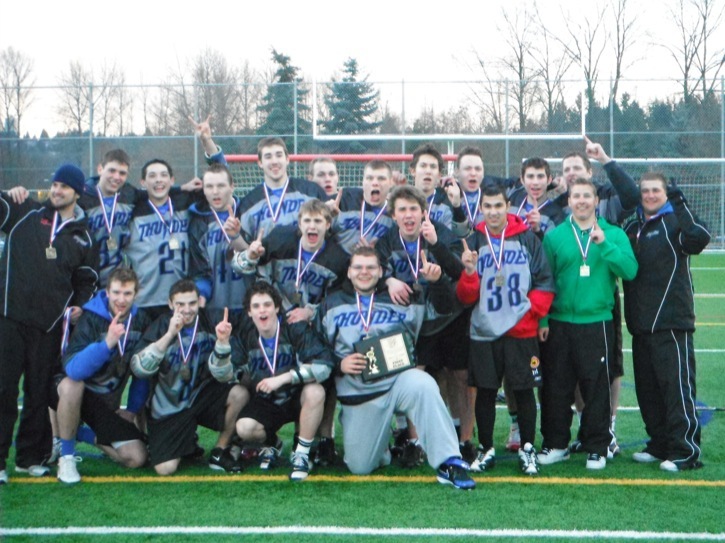 When it comes to lacrosse, both field and box, Langley has always been close to the top and rarely at the top. The boys, really young men now, that you see in the picture below have been battling for a gold medal for 10 years or more. I watched a young Chris write down his goal, ‘Make the A1 Langley lacrosse team’. Then I watched him work that goal. Push-ups, eating right, practice, repeat. Working and never quitting. He made it. The next goal was to win. I watched him and his squad battle their hearts out to several bronze medals at the Provincials. They were huge accomplishments, but the ride home was usually quiet. When he won the bronze with Team BC at the National Box Tournie, it was again an amazing accomplishment but the gold still remained the goal. A couple of Sundays ago on the fields at Burnaby Lake, Langley’s Tier 1 (A1) field lacrosse team won the Gold medal for the FIRST TIME IN LANGLEY’S HISTORY. These were all guys that Chris had played with over the years and judging by the comments on Chris’ still very active memorial Facebook wall, he was with them on the field for the big win. CONGRATS to all the players and coaches…and parents too!! As I look at the picture below I see James, Michael, Brett, Eric, Ryan, Rhys, Riley, Will, Alex and more. You all have battled for many years together and I know that Chris LOVED fighting the fight with you and I know he’ll be your wingman as many of you leave minor lacrosse and move forward with the next exciting stages of life. This was a MEGA accomplishment and I know Chris will be beaming for a long time about this one. You can read the full story in the Langley Times here. « Good scary or bad scary?